The large selection of consumer products from this German manufacturer ranges from standard and special sized batteries to chargers and power supplies for various applications to pocket lamps, portable spotlights and headlamps. As of now, the greatly expanded range of batteries is available for you at our online shop. 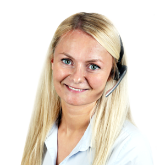 We offer rechargeable batteries in the usual sizes AA, AAA, C, D and E-block but also special block designs with significant technical datasheets. You will find rechargeable products featuring capacities from 170 mAh to 850 mAh made from various materials. The new primary batteries are available in a wide selection of various type such as AAA, AA, C, D, E-blocks and button cells. With voltages ranging from 1.45 V to 12 V and the materials alkaline, lithium, silver oxide and zinc air, you will always find the right product for your application. 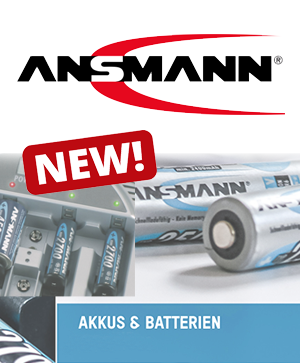 Besides many more batteries, you will also find power supplies and chargers from Ansmann within our standard product range.